Christmas in San Carlos, Mexico San Carlos, Sonora 2010 Real Estate Summary! I often get asked what it is like to drive to San Carlos from the U.S. and having recently made the trip (for about the hundredth time) I thought I would provide a review of the drive as a sample. Most people coming to San Carlos arrive in Phoenix and then continue their road trip in their own vehicle or a rental car. On my most recent trip I was returning from a business trip to Portland, Oregon and had left my car parked at the Phoenix Sky Harbor airport parking lot. When I left Portland in early December, I was wearing a wool coat, gloves, and a scarf. 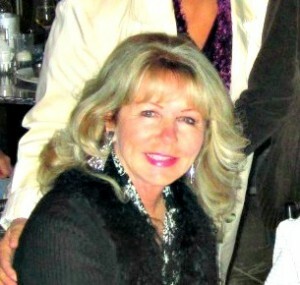 As soon as I arrived at my car in the parking lot in Phoenix off went the coat, gloves, and scarf. What you will notice on the first portion of your road trip is the lovely winter climate! The next day I hopped in my car and after grabbing some food “to go” I was on my way heading south on Interstate 10 towards Tucson. This portion of the drive takes about 1 ½ hours and on the outskirts of Tucson you exit at Hwy 19 towards Nogales. After another hour or so you arrive in Nogales, Arizona and I usually cross the border at the truck crossing just out of habit. I find it easier than going through town and it is familiar. The exits are clearly marked. Before you head for the border, stop at one of the many well-marked outlets to obtain your Mexican car insurance. After you have your insurance in order you proceed through a US border checkpoint as you exit the US and then you drive into Mexico about 21 kilometers and you come to a clearly marked facility where you obtain your visitor visa. Unless you are coming over the Christmas holidays this is usually a quick 15 minute stop. After this you continue to head south on Hwy. 15 which is a beautiful drive through the Sonoran countryside and through some smaller towns. 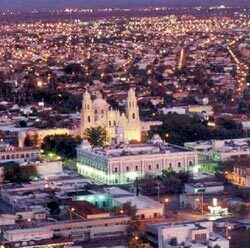 About 2 hours later you enter the capital city of Hermosillo which boasts a population of about 1,000,000 people. There are two ways to get through Hermosillo but since they opened a Starbucks I take the route that allows me to stop for ice tea and a chocolate croissant. By this point I am in need of more refueling! As you enter Hermosillo you just continue to drive straight. About a mile or two into the city you will see the Starbucks on your left. This requires making a U-turn but it’s not complicated. After you have “refueled” then you get back in your car and make another U-turn and head in the direction you were on before. You then continue to go straight and the road takes you through town. Once you reach the outskirts of the city you are about another hour and 15 minutes from the Guaymas/San Carlos exit. It’s a very uncomplicated and scenic drive so have fun and enjoy! Buen Viaje!